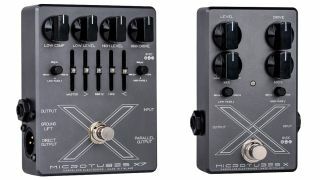 Darkglass Electronics has announced the Microtubes X and X7 Multiband Bass Drive pedals. Both stompboxes split the incoming audio signal via two variable low-pass and high-pass filters, allowing bass frequencies to pass through, while the highs are distorted using CMOS circuitry. Both filters are adjustable, while the Microtubes X features adjustment for level, drive, mix and mids. The Microtubes X7 adds a variable compressor for the low section, plus a four-band graphic EQ, as well as parallel, effected and XLR direct outputs. 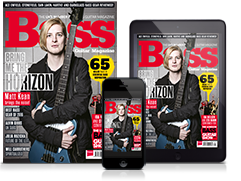 Both pedals are available from mid-October for £199 (X) and £289 (X7). Head over to Darkglass Electronics for more info.